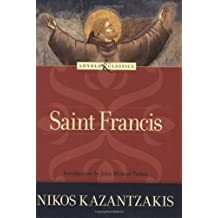 Following is a selection of our fraternity member’s favorite books, articles and other informative or uplifting content about Saint Francis and our local Franciscan community, with commentary by those who submitted the publication. Following is the author’s prologue to this novel, written in 1962. If I have omitted many of Francis’ sayings and deeds and if I have altered others, and added still others which did not take place but which might have taken place, I have done so not out of ignorance or impudence or irreverence, but from a need to match the Saint’s life with his myth, bringing that life as fully into accord with its essence as possible. Art has this right, and not only the right but the duty to subject everything to the essence. It feeds upon the story, then assimilates at slowly, cunningly, and turns it into a legend. While writing this legend which is truer than truth itself, I was overwhelmed by love, reverence and admiration for Francis, the hero and great martyr. Often large teardrops smeared the manuscript; often a hand hovered before me in the air, a hand with an eternally renewed wound: someone seemed to have driven a nail through it, seemed to driving a nail through it for all eternity. I just love this book. It’s a 52 -eek study, one chapter a week. The chapters are short and have four to five reflection questions in each chapter. It’s informative about all things Franciscan. There is a section called “Connecting with Scripture” and one called “Connecting with Franciscan Writings,” very much Gospel to Life and Life to Gospel. Since it’s a 52- week study, I review the same chapter for a week, helping me to really think and pray about the topic and pushing my spiritual life to go deeper. I’m on week 37 and have enjoyed it all. Will probably start over when I finish. 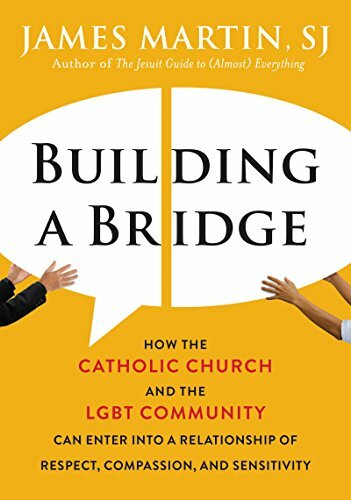 The book is an ideal starting point for parishioners, catechist and formators who may be unfamiliar with the concerns facing LGBT Catholics and their families and friends, or for those who are quite familiar but uncertain about how to respond. I was sharing with my aunt about my secular journey and that I was a member of the Padre Pio Fraternity. She had never heard of Padre Pio. I bought this book for her and decided I would read it before I sent it.